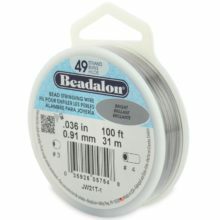 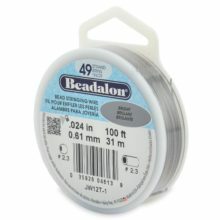 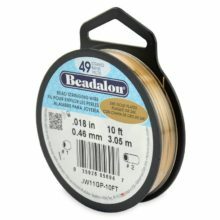 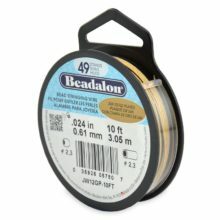 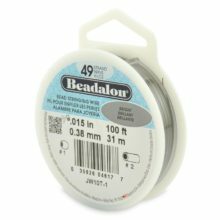 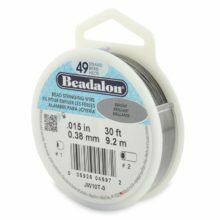 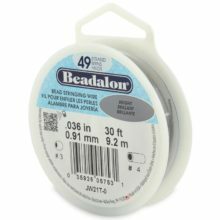 Beadalon 49 has the soft feel of thread and the strength of stainless steel. 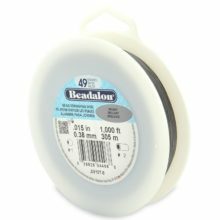 Nylon coated, this item allows designs to drape naturally without kinking. 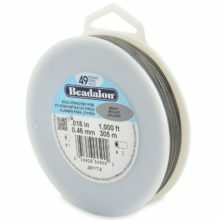 The larger diameter wire will withstand abrasion much better than smaller sizes and provide the added strength needed for stringing larger, heavier beads or beads that have expanded or somewhat irregular drill holes.